Happy Monday! Today is a little bittersweet for me. Today was my last day of winter break. I’m excited to start school and work again, and getting back into my old routine, but I’m going to miss sleeping in and not having too many worries. At this moment I’m going over all the things that I wish I had done and didn’t get a chance to do. I wanted to read more books, watch more movies, and relax a lot more. But instead of crying over going back to the real world, I’m going to show you a new polish! 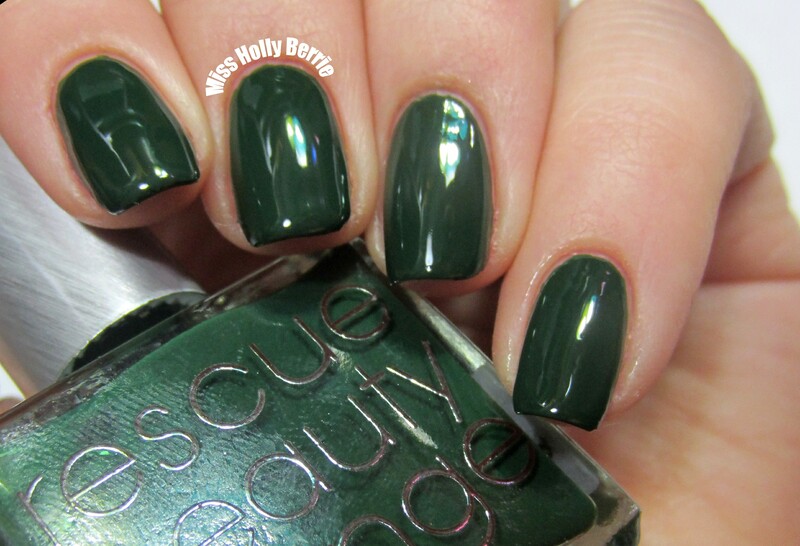 Rescue Beauty Lounge “Recycle” is a forest green creme. I ordered this in the 50% off sale back in November, and I knew that I had to have this shade. It is such a perfect dark green! And you can never have too many greens in your life. The color is the perfect dark green for fall, winter, and going into spring, and I envision myself wearing this on St. Paddy’s Day! This is the first Rescue Beauty Lounge polish I’ve ever tried and I’m scared that I may have found another very expensive brand to become addicted to! This thing was opaque in 1 coat! Yep, that’s just 1 coat! Albeit 1 thick coat, but still just 1 coat. It dried so quickly that this is going to become a go-to polish for a manicure in a hurry. The consistency was awesome too. I can’t think of a single thing that I don’t like about this polish, besides the $18 price tag. What do you guys think? 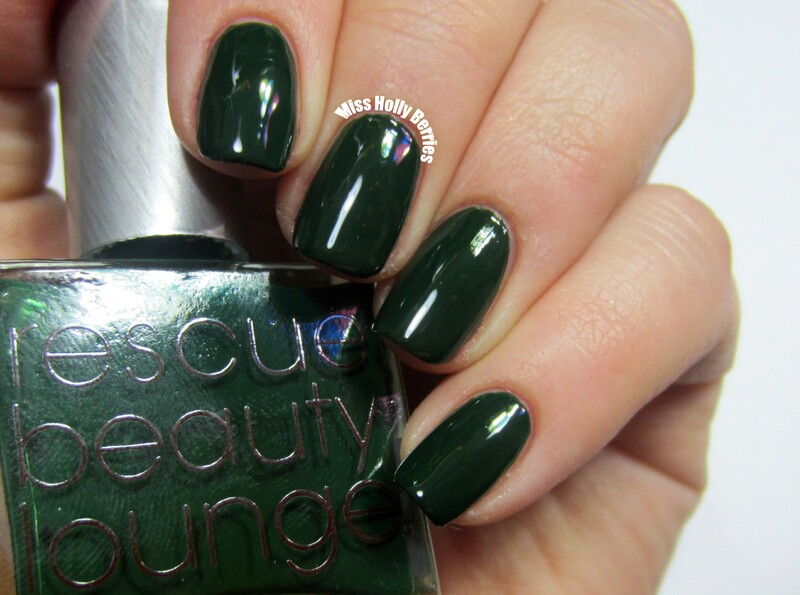 Do you have any Rescue Beauty Lounge polishes? OMG…that is gorgeous! I can’t believe it’s only one coat!! Hope this semester goes well!! Green is my all time fav nail colour, and this one is GORGOEUS! The colour is spectacular! It’s amazingly reflective – are you wearing a topcoat? Love this Holly! I am a sucker for this green colour, I just think it works so well! I hope everything is going great with school and work – I know its tough!